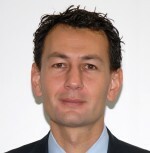 Javier Arenzana Arias, director Rich Communication Services, Telefonica, Spain is speaking at the LTE Operator Mind Share, part of the LTE World Summit, taking place on the 24th June at the Amsterdam RAI, Netherlands. Ahead of the show we get an insight into how Telefonica is confident that RCS services will enable the industry to confidently compete with OTT services. Can you give us an update of where Telefónica is with RCS services? Telefonica has been one of main contributors to the development of RCS across the industry and the success of RCS is essential to extend our core interoperable services into the advanced formats that our customers demand. We have been a leading member of the initiatives at the GSMA, shaping the strategic opportunity [the RCS provides] and defining the service specifications and roadmap. The Telefonica Group launched an Joyn RCS service in Spain in 2011, along with Vodafone and Orange and, along with our main competitors, it will launch it in the coming months in Germany. In Latin America we are participating in several multi-operator roundtables in order to align our views about the opportunity of a joint launch with the other MNOs in the region. What are the chief technical challenges you are facing with regards to RCS? The technical challenges we face when we launched Joyn in Spain were simply those related to the implementation of any new interoperable technology. All participants in the ecosystem had to learn together about the technology, developing their respective clients and application servers without the support of a reference implementation to validate their work. Now there are several reference implementations on networks, and many devices that have been accredited that are providing the service in an interoperable manner among several operators, with downloadable applications and native devices. Operators deploying Joyn can now use these reference solutions for their roll-outs. The LTE Operator Mind Share is taking place on the morning of Day One of the LTE World Summit, the premier 4G event for the telecoms industry, taking place on the 24th-26th June 2013, at the Amsterdam RAI, Netherlands. Click here to download a brochure for the event. The OTT players have the advantage of cross platform but Facebook Home is now looking to offer device integration too. Can Joyn be a timely and effective response to this? Internet OTTs contribution to the industry is very positive. They have developed very compelling services and will continue promoting innovation. Operators have a different service proposition and capabilities to leverage. RCS gives us the option to provide differential value to our customers – a universal communications upgrade. Such a transition will take time, for sure, but will result in a solid service offering. Please tell me more about why attending the LTE Summit is so important for Telefónica. Awareness of the strategic opportunities for the telco industry is an essential to take the next steps to evolve the ecosystem. The LTE World Summit gives us an excellent opportunity to share our views with the rest of the operators on the transition towards the next generation networks and our future all-IP services.